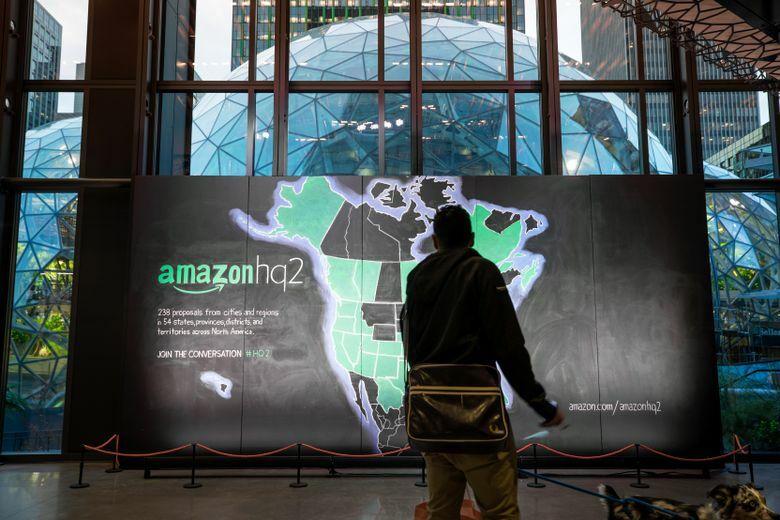 A review of some of the bids to woo Amazon’s HQ2 to other cities and states shows it’s not all about the money. In some cases democracy itself is a bargaining chip. Those 30, though, amply demonstrate our capitulation to corporate influence in politics. There’s a new wave, in which some City Halls seem willing to go beyond just throwing money at Amazon. They’re turning over the keys to the democracy. Think you've been keeping up with business? Take the quiz and find out. Coming from the home of the largest corporate tax-break package in U.S. history, which our state gave to Boeing, I figured I was well acquainted with the dark arts of economic-incentive deals. But still I was surprised to see the lengths to which some cities and states will go to get a piece of that high-tech glory. Most of the HQ2 bids had more traditional sweeteners. Such as Chula Vista, California, which offered to give Amazon 85 acres of land for free (value: $100 million) and to excuse any property taxes on HQ2 for 30 years ($300 million). New Jersey remains the dollar king of the subsidy sweepstakes, having offered Amazon $7 billion to build in Newark. But more of a bellwether to me are proposals that effectively would put Amazon inside the government.